May | 2012 | BSRIA Blog - Opinions and insights from BSRIA Limited. 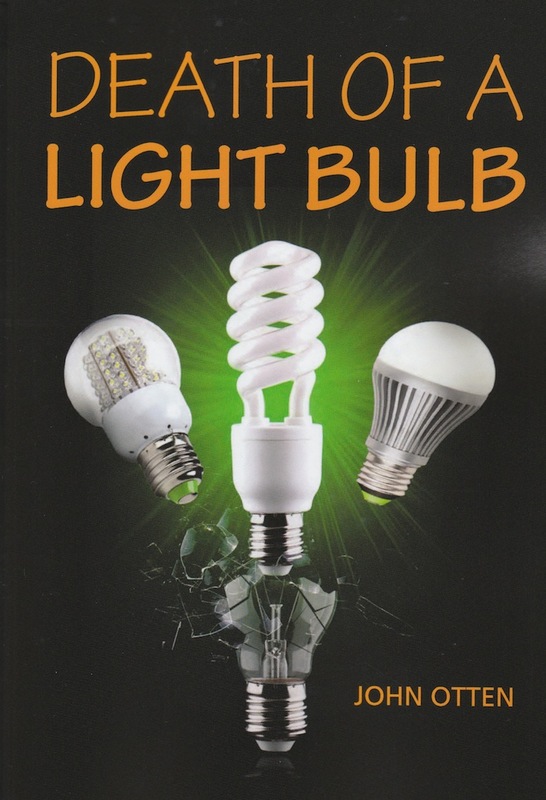 This book examines electric light, not simply as a technological invention but as the creation of a worldwide industry which has transformed the quality of life for millions of people. The humble domestic light bulb has long been an icon for inventiveness and inspiration. It well deserved this recognition when its impact on civilization in the last century is considered. Much has been written about the early struggles to find suitable materials for filaments and machinery capable of creating a high quality vacuum. Electric light was highly desirable and a great improvement over the flickering and odorous alternatives. It directly led to public electricity generation and distribution. It is difficult for those living in the Western World today to imagine life without electricity. To meet the demand required investment and speculation on an amazing scale together with mass production of the lamps. It is this story about creating industrial empires and the lengths then taken to protect their profits and assets. Competition and co-operation existed side by side with all the weapons of modern business. These included controlling ownership by shareholders, webs of intermediary companies, and legal contests. The application of patents provided protection and the opportunity to control market penetration. Global transport and distribution had not been fully developed so to reach distant markets could mean agreements with companies considered as direct competito rs nearer to home. Cartels could influence supply and retail pricing. Many of these actions would be considered dubious today with calls for greater transparency and level playing fields. This story has not been documented for many years and John Otten has provided an insight into the complex web of a modern, highly successful industry. His extensive research into areas not always well documented is to be commended and is augmented by his long career within the lamp making industry. Previous work was written around the first half of twentieth century and information regarding the second half of twentieth century makes a valuable addition to lighting history. The title makes reference to the final twist in the story. Most products follow a conventional life cycle with sales rising to a peak and slowly going into decline. With many modern devices this life cycle can be a very short period of just a few years, but the light bulb appeared to be almost everlasting. It did not fade away but has been virtually executed by European legislation banning its production and sale. This policy has also been accepted by other countries around the world but is not yet universal with the United States, New Zealand and Canada still fighting in some quarters for its survival. This final phase is still being acted out and the full story behind it may not appear for some time but in the meanwhile the life of the lamp making industry is a worthy model to study of how to turn a simple idea into a life changing experience for millions of people. There are clearly many advantages to be gained from producing a co-ordinated, data rich model. Early 3D visualisation can help the client understand what they are getting, the design team to see how their particular systems and components fit within the structure, and various arrangements or ideas can be investigated virtually before getting to site. However, it is important to realise that the core objective of BIM is the management of information, and this should include all relevant information produced throughout the life of the building or construction entity, not just the model – or data held within the model. The UK Government has identified their need to have the right level of information about a project available at the right point in the procurement process to enable them to make better informed decisions which, in turn, should result in cost savings through reduction of abortive work, reworking and wastage. The adoption of BIM for all relevant information, from inception to demolition, can only help this process, but to maximise the benefits available, the information must be accessible to all the intended users. In view of this, perhaps a wider debate is yet to be had on what should be in the model and what simply linked to. The management of information is not a new idea. In fact, all major construction projects employ a document management system to arrange and make available the vast number of documents and data generated as part of the design and construction processes. The key is to capture this and make it available in a readily accessible format to the team charged with operating the building throughout its life. A robust system introduced at an early stage can avoid having to reproduce data again after handover.